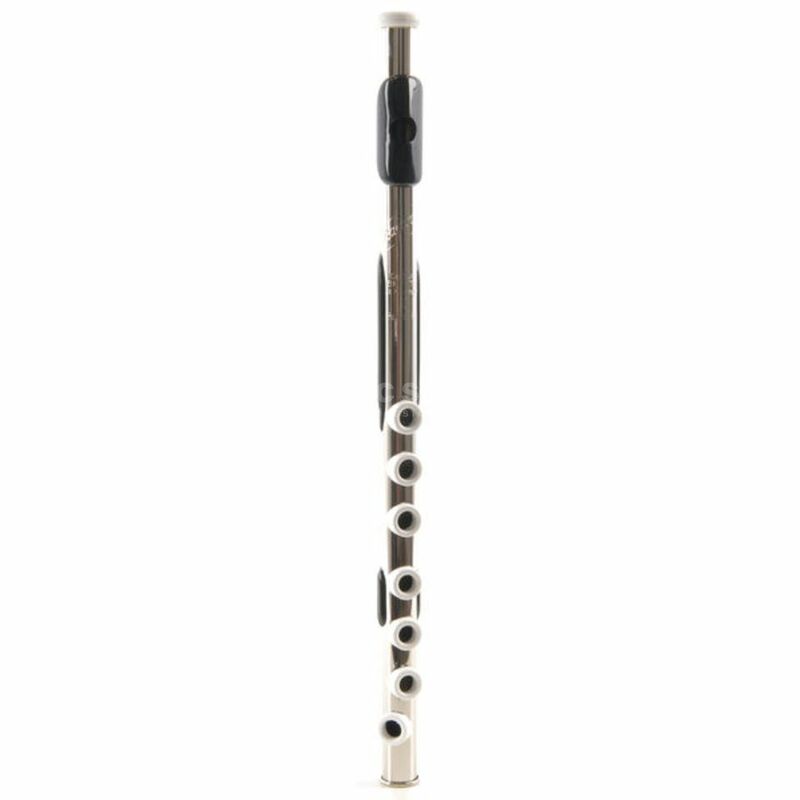 The Sandner Soprano 80 Standard Marching Flute In Cb has a wide tone range of 3 octaves and is designed with a nickel plated high gloss body. The mouthpiece offers a high quality sound with a more user friendly attack point whilst the overall tone is best described as balanced, clear and rich. Very good Instrument for both beginners and professionals, easy to handle, easy to learn. Great for Military Bands, hence it is very Loud. Also, a "Map" of how you can reach all musical notes is included when you buy it. The only considerable problem with the flute is that it creates a noise when trying to reach some specific high notes.